Hunting as a means for urban deer management is clearly on the rise around the nation. But in Indiana, an assistance program unlike any other is being implemented. And it’s assistance with dollar signs attached. The Urban Deer Hunting Access Program was designed to help communities experiencing problems with overabundant deer populations and to manage those deer through hunting. 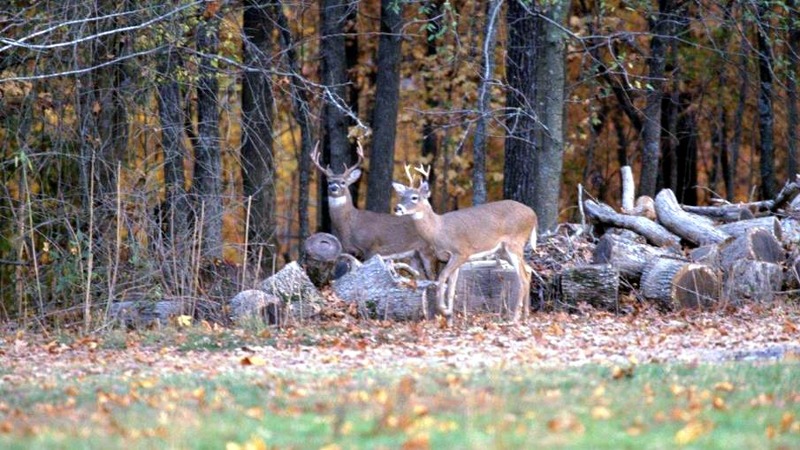 Communities will be eligible to apply for funding to open public land for access by licensed deer hunters to resolve documented conflicts.Funding for the project is provided by the Indiana DNR and the Wildlife and Sport Fish Restoration Program of the U.S. Fish and Wildlife Service. Communities or public entities can enter into a contract for up to three years with a maximum of $15,000 available per year. “We’re saying, look, you give us the access, we’ll get you the hunters in there and you’ll start to see some results,” Stewart said. “Basically a community can get money instead of spending money on such things that don’t work, like contraception, in these free-ranging situations. Communities must submit applications by July 31, with a general outline of how the funds will be used. Stewart said a ranking system is in place and communities will be chosen on several criteria, including history of damage and the documentation of that, how much acreage will be made available for hunting and how long hunting will be allowed. As for the use of the funds, Stewart said that for the most part, that is being left up to the communities. Stewart also said he isn’t sure how many communities the program will assist. “For one thing, I don’t know what kind of response we’re going to get,” he said. “Ultimately I think we would be really excited if we could support four or five communities and if we have funding for a little more than that, that would be great. However the scoring criteria ranks out, we’re basically going to fund those communities until we run out of money. We’d love to have four, five, maybe even six communities participating in this program.”According to the Indiana DNR, the state’s deer harvest was more than 125,600 in 2013, the lowest total in five years and 7.8 percent down from 2012’s record harvest. Like most Midwest states, deer herds in urban areas are a growing problem, especially in the heavily urbanized northwest sector of the state and the Indianapolis suburbs. "Hopefully by providing a financial incentive to open up or expand hunting in their community, we can show that hunting is a logical option to solving deer problems," Stewart said. "And hopefully it will lead to a resolution of conflicts and the start of a long-term management program."